Dropbox is making things easier for Gmail users with the launch of a new add-on that can be used on Android devices, and soon on iOS too. The new Dropbox add-on, Gmail users can view, store, and share any file (document or video) without having to leave the inbox within the app. Moreover, the add-on makes it easier to save files from your email to Dropbox, so the more reason to use it. Also, since you will be able to access your Dropbox account directly from Gmail, you won't have to switch between apps any longer. On top of that, shared links will always point to the latest versions, which means you won't have to update email threads when files are updated. Last but not least, the new Dropbox add-on enables users to add links to any file or folder in their Dropbox so that anyone can access it without installing special software. It's a pretty neat feature that will probably make you stop worrying about file size or inbox space. 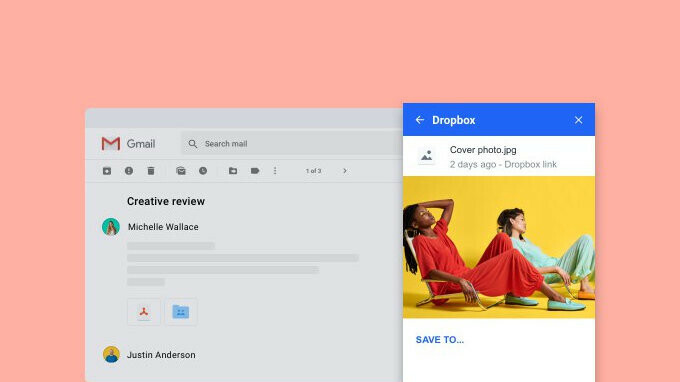 If you want to take advantage of the new Dropbox add-on for Gmail, you can download it for free via G Suite Marketplace. Although it's only available on Android, an iOS version will be released soon.